As water treatment specialists, established over 17 years ago and servicing the whole of the UK, we are highly competent in managing the chemistry of water and physical processes to ensure your plant runs smoothly, safely and economically. Our motto is “razor sharp service ideas attention to detail”, which means we respond quickly and effectively to individual customer needs, developing precise water treatment plans which are clear and easy to manage. The company is big enough to supply industry- leading solutions without losing the personal touch. 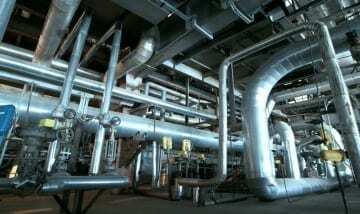 We manage water and waste treatment for steam production, heating systems, cooling towers and process operations. We work in partnership with offices, facilities management companies, hospitals, food production plants, pharmaceutical manufacturers and other organisations with stringent water treatment regimes for system efficiency and Legionella control. Our team of specialists includes a Fellow of the Royal Society of Chemistry, an Expert Witness in water treatment cases. Services include consultancy, chemical supply, dosing, engineering services, monitoring, record keeping and review. For on-site testing, we rapidly produce colour coded reports which are clearly written and easy to follow. All customers have access to a unique on-line database, which holds simple, clear and comprehensive records of all testing and remedial actions, including comments from us as your responsible supplier. Issues are highlighted automatically alongside rectification instructions. Easy-to-use test kits are supplied for your own operatives and you always have access to support from our team of highly qualified and experienced professionals, as required. Contact us now on 0870 460 2980 to discuss how we can help you manage compliance and improve efficiency of your water treatment system. All businesses have an obligation to ensure waste water is free from contamination. We have extensive experience of maintaining cooling towers, evaporative condensers and chilled water systems. We are time proven experts in what we do, continually refreshing our knowledge of chemistry to develop solutions to water treatment problems. Our job satisfaction comes from improving the performance of water systems to deliver cost savings, in the most efficient and effective way. We take our consultancy role very seriously and endeavour to make sure that any necessary information or requirements are communicated in a timely manner. Customer reports and procedures are always made clear, easy to understand and manage, using our unique “Colourcode©” copyrighted reporting system. We believe that water treatment should become straightforward, routine and easy to implement. Making life easy for customers, whilst improving system performance and ensuring compliance, supports long term partnerships with mutual benefit. At the heart of our business is innovation and customer focus. 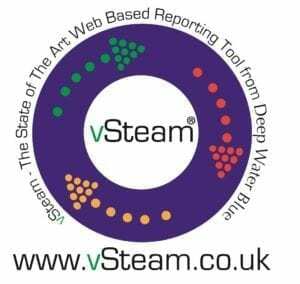 Our latest service is vSteam, a leading edge, web based log-book where your treatment programme is stored, updated and monitored by ourselves to ensure robust, quick and efficient support. 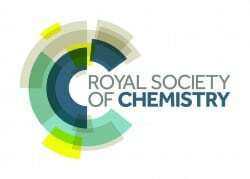 Deep Water Blue is a part of EnterprisePlus, the Royal Society of Chemistry's dedicated service for micro, small and medium-sized companies and our employees are listed in the Royal Society of Chemistry’s “Directory of Consultants”. Additionally, we are also members of the Combustion Engineering Association (CEA) and are listed on their Academy of Experts. We are also members of the Water Management Society. © 2018 Deep Water Blue Ltd. Site development IceStar Media Ltd.